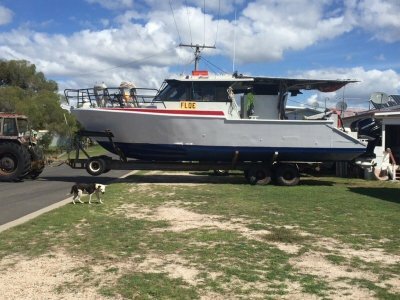 38' Aluminium Commercial Fishing Vessel - AMSA Certificate of Operation for Qld - 3C for 4 persons. Total refit in 2018, NEW Mercury 350 hp Verado Four Strokes which have only done 125 hours since. 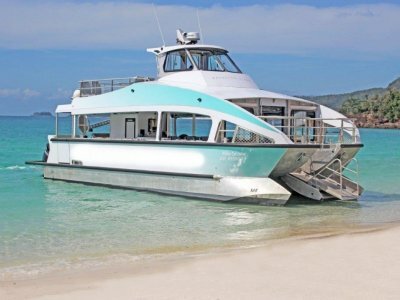 NEW Honda 15 kva genset, all NEW Electronics, boat fully rewired, galley, NEW 415v 3 phase 2,000 . . .
LATEST Z BOW PASSENGER CATAMARAN - If you would like one like this, contact us now. The builder is ready to start the next one. Excellent sea keeping and ride. Cheaper build than conventional cat with diesel inboards. Can access shallow water and great for beach drop offs. Several layouts to pick . 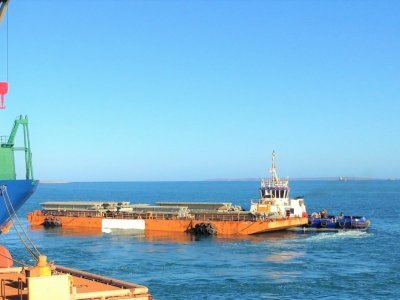 . .
Swissco Marine V - Flat Top Deck Barge 180' x 50' x 10' Built 1997 GRT 630 tonnes Deck Loading 5t/M2 Deck Equipment : Smit Bracket with Fairlead, Emergency Anchor with 76m of Rope 6NO:Double Bollards - 2NO. Single Bollards - Handrailing. 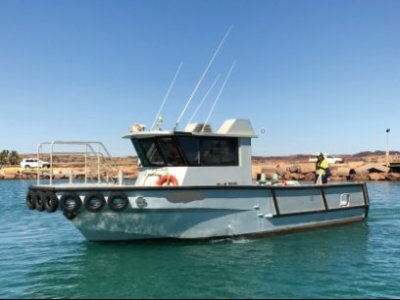 Located at Dampier WA. Due for . . .
10 x 3.4m Work Barge - AMSA Certificate of Survey for 2D Fassi Micro 30 deck crane 1 tonne lift plus 3 tonne deck winch both run from Honda 20 hp Hydraulic Power Pak. 2-3 tonne deck capacity. Tie down points. 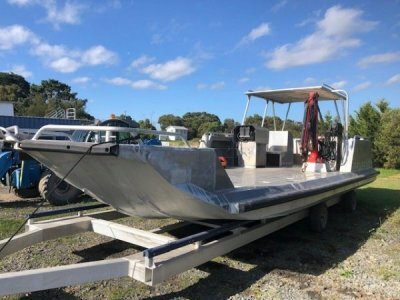 Twin 115 hp 2003 model Mercury 4 stroke motors - ONLY 350 hours. . . .
9.8m Cougar Cat Fishing / Diving Charter Vessel - Launched in 1993. 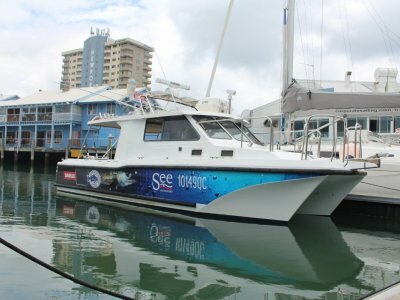 Amsa Certificate of Operation for QLD - 2C and 2D survey, currently working as a charter boat for See Restaurant in Mooloolaba, with all the equipment, this vessel is ready to work straightaway. Boat powered by 2 X 250hp . 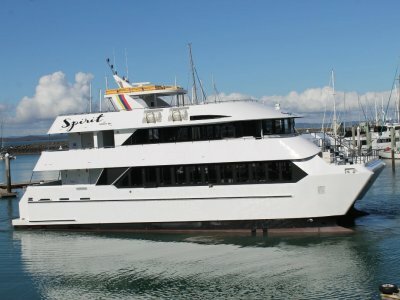 . .
WOULD YOU LIKE TO SELL YOUR COMMERCIAL VESSEL / BUSINESS - If you have a commercial vessel of any size or type, either on it's own or as part of a business.. Call Nev now to help find you a buyer. No upfront advertising costs and very reasonable brokerage fees. 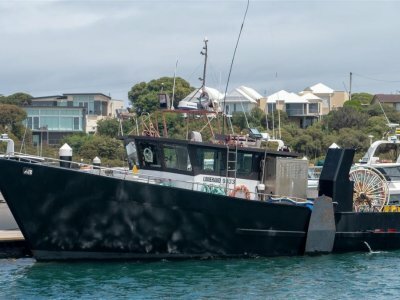 For more info call 0439 744 308 . . .
Steel Hard Chine Fishing Vessel - Launched 2010 and currently shark netting out of Robe South Australia. AMSA 3C Survey. Last Slipped in Aubust 2018. 6,000 m Net Reeler loaded with 5,000m of net. Bulbous Bow and Port Side Stabiliser. 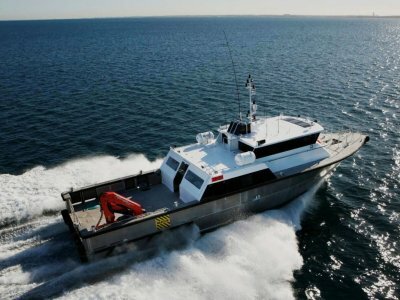 Cold Room 17 m3 for a total of 6 tonne of product. . . .
22 M CREW TRANSFER / WORK VESSEL - FOR HIRE OR SALE K E Y	F E A T U R E S Air conditioned crew transfer lounge Bow thruster Comfortable accommodation Overhead observation windows at helm Twin skeg V E S S E L A P P L I C A T I O N S Crew transfers Chase vessel Construction . 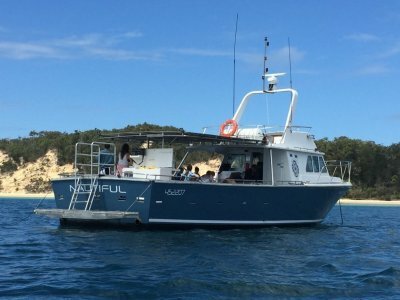 . .
11.70 m Crew Transfer / Dive / Work Vessel - FOR HIRE OR SALE There are two of these vessels available for hire. K E Y	F E A T U R E S Twin Screw with Kort Nozzles 5 ton Bollard pull D Rubber Fendering All Round Tyres fitted to bow and stern V E S S E L A P P L I C A T I O N S . . .
48' Precision Charter / Dive / Work / Fishing Vessel - ' Nautiful ' underwent a fairly major refit in 2018 and is ready to work. Twin V6 Detroit Diesel mains giving 14 knots cruise at 40 lph total and 20 knots wot. Fuel capacity 2,500 litres. Tons of deck space for your clients or . . .